On 10 July 2016 there was an incident at the construction site of the new Astraviec Nuclear Power Plant. According to local whistle-blower Mikalai Ulasevich, a crane dropped the 330-tonne reactor from a height of 2-4 metres during a test lift. Until 26 July the officials either actively denied the incident or simply kept silent. For Belarusians, this is painfully reminiscent of Chernobyl. When the Chernobyl accident occurred in April 1986, the Soviet government chose to conceal information from the people for as long as it could. This decision exacerbated the situation for the general population, who did not know to take precautions against radiation fallout. The location of the construction site for the future nuclear plant has also caused tensions with neighbouring Lithuania. Astraviec NPP – just 50 km from the Lithuanian capital of Vilnius – poses an immediate threat to residents of Lithuania in the case of an accident. However, despite the significant social and political controversy and safety concerns the Belarusian government has chosen to continue with the project. The Ministry of Energy, the government entity responsible for the plant, released an official statement only on 26 July. It confirmed that rumours of the incident, now circulating for more than two weeks, were true. The wording of the official press release described "an emergency at the site", which occurred during "the horizontal movement of the frame". 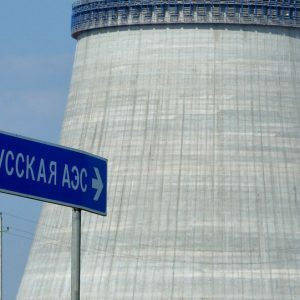 On 1 August the general contractor confirmed the safety of the reactor, but suggested that it should be up to the Belarusian authorities to decide whether to use this particular item. Belarus, the country that suffered the most severe consequences of the Chernobyl disaster in 1989, has now decided to build its own nuclear power plant. The project for the NPP, conceptualised in 2007 and first initiated in 2009, lacks both transparency and public support and controversy surrounding it is plentiful. First, the Belarusian government could not find enough funding for it, so the money had to come from Moscow with strings attached. Russia agreed to provide $9bn out of $11bn required for the NPP, as a result of which Rosatom, or Russian State Atomic Energy Corporation, won the bid as the major partner in construction and supply. Secondly, the Lithuanian government protested against the choice of the NPP construction site due to its location just 12 miles from the Lithuanian border. They also accused Belarusian authorities of violating the Convention on Environmental Impact Assessment in a Transboundary Context (the Espoo Convention). The recent incident has only added to rising tensions between the two governments. Incidents at the Astravyets power plant, a nuclear facility that Belarus is building close to its border with Lithuania, show that Vilnius has reason to be concerned about the project's safety. Lithuania has sent at least three notes to the Belarusian government voicing their concerns for safety. This situation (the construction of the NPP) has provided some real grounds for oppositional action, and allowed them to play on the widespread phobia in Belarus of nuclear energy. Andrey Dzmitryeu (opposition leader of “Tell the Truth” Initiative) has already announced his intention to do so. Belarusian authorities defend their right to build the nuclear power plant. The project will address the demand for power in Belarus, which has scarce domestic fuel resources. Belarus aims to diversify its energy resources, including renewable resources, replace the import of natural fossil fuels (five million tonnes of fuel-equivalent a year), reduce electric power production costs, and increase the country's capacity to export electric power. Ideally it will also decrease the country's energy dependence on Russia. Furthermore, the project will generate approximately 8,000 jobs during the peak construction period and 1,000 new permanent jobs when it starts operations, according to the Ministry of Energy. In an attempt to bring down costs and boost the popularity of the project, Belarusian authorities have handpicked 400 students to send to the construction site. According to news portal Tut.by, the young people had to go through rigorous competitive selection to qualify for a summer job there. Ironically, this week experts from the International Atomic Energy Agency (IAEA) announced their intention to visit Belarus to examine the construction site of the NPP. The Site and External Events Design Mission (SEED) was supposed to be carried out before the construction site was approved. This constituted one of the Lithuanian government's requirements for Belarusian authorities regarding the plant’s safety. Lithuania has already announced that it would not purchase any energy from the Astraviec nuclear power plant. They have also promised to bring the issue to the attention of neighbouring countries and urge them to join the boycott, according to the Lithuanian news agency Delfi. This is not an empty threat. According to expert estimates the Astraviec NPP will produce enough energy for export. Vladimir Nistyuk, from the Belarusian association “Renewable Energy”, commented in Deutsche Welle that: "There is no one around Astraviec willing to buy energy from the plant, yet it could produce a net surplus of energy as early as 2018”. Undeterred by the rising controversy, Belarusian authorities have chosen to move forward with their plans. According to official information, the first energy unit should be completed by 2018, the second one – by 2020. Belarus has once again found itself between a rock and a hard place. Going forward with the construction may mean deteriorating relations with Lithuania and possibly the European Union, while freezing the project may antagonise Russia. Galina is an independent consultant for UN in gender equality and domestic violence prevention, currently works at Emerge in Boston, MA, a Batterer Intervention Programme. Belarusian authorities relax pressure on the opposition during election campaign in order to normalise relations with EU and US. The Ostrogorski Centre finalises the project supporting research papers on foreign policy, security, and education policy in Belarus. Unreformed economy slows the modernisation of Belarusian army. CSO Sustainability Index of 2015 released: Belarus has improved its position by 0.1 point. Belarusian Yearbook 2016 is available in Russian and English. Mediakritika.by on hate speech in Belarusian media. This and more in the new Digest of Belarusian Analytics. Will the Opposition Be Allowed to Get To Parliament This Time? – Artyom Shraibman, TUT.BY and associate analyst of the Ostrogorski Centre, notes that the upcoming parliamentary elections are special because of the intense warming of relations with the EU. Nevertheless, Lukashenka will not allow the opposition to get to the parliament; he will hold a more transparent campaign instead and dilute the parliament with loyal political parties – it should maintain the current sluggish, but positive dynamics in the EU relations. Belarusian Authorities Relax Pressure On Opposition During Election Campaign In Order To Normalise Relations With EU and US – Belarus in Focus analysts believe that in anticipation of a positive feedback from the West, the Belarusian authorities are unlikely to put obstacles for the opposition in the ongoing parliamentary campaign. Regardless of the high competition for a parliamentary seat, Belarusian electorate remains rather passive and apolitical. Belarus Foreign Policy Index #32 (May and June 2016) – In its regular product BISS explores Belarus’s foreign policy in the five key dimensions – Russia, EU, Ukraine, Chine and the developing world. In May-June, relations with Russia evolved constructively. A level of contacts between Belarus and the European Union becomes much higher. Belarusian-Chinese relations were focused on the potash theme. 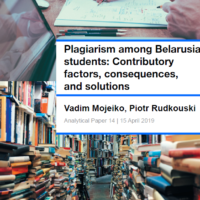 Foreign Policy, Security, and Education Policy in Belarus – In July the Ostrogorski Centre successfully completed the project producing eight research papers in the areas of foreign policy, security and education of Belarus. The project was supported by the grant from the Mott Foundation and implemented in cooperation with the Pontis Foundation. Please find a publication of paper abstracts here. 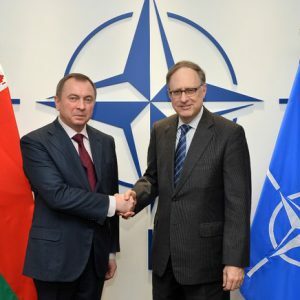 Minsk Seeks to Demonstrate to NATO its Independence – Belarus in Focus analysts believe that Minsk continues maneuvering between the West and Russia in anticipation to cooperate with each party to the conflict. Minsk aims to establish multi-level communication channels with the West, while it offers further cooperation in the security field to Russia. That said, the Belarusian authorities are not ready to commit to the West in the security field. Unreformed economy slows modernization of Belarusian army. Alexander Alesin, a military analyst, believes that a modest economic capacity of the country not only hinders the modernization of the Belarusian army, but, in the negative case scenario, may lead to a reduction in its combat potential. While the Belarusian army is advanced in terms of the soldiers’ training, it has outdated, still Soviet weapons, military equipment, and infrastructure. Key Challenges in Foreign Gratuitous Aid Legislation – Legal Transformation Centre Lawtrend analyses the first months of a new legislation on foreign donations. The main conclusion is that the current legislation of the Republic of Belarus establishes a complex and cumbersome procedure for obtaining, registration and use of foreign gratuitous aid and does not take into account the specifics of CSOs. Is Belarusian Government Interested in Supporting CSOs? – Olga Smolyanka, the Centre for Legal Transformation Lawtrend, analyses the current situation in the Belarusian CSO sector and formulates the key concern – an individual non-transparent support by the state. To change this approach, first of all, authorities should stop seeing enemies in CSOs and, finally, recognise their social benefit. Then it's possible to develop legislation on the cooperation of CSOs and the state, including financial issues. Human Rights Situation in Belarus: June 2016 – Human rights Centre Viasna has released its monthly monitoring that shows that June was not marked by any systemic changes demonstrating the authorities’ commitment to improving the country’s human rights situation. The overwhelming majority of the unauthorised peaceful assemblies was not forcibly stopped, however, the participants continued to be brought to administrative responsibility in the form of fines. 2015 CSO Sustainability Index for Central and Eastern Europe and Eurasia – Belarus has improved it position by 0.1 points but remains in a niche of “impeded sustainability” as the previous 15 years. Namely, slight improvements are noticed in reduced government harassment, successful advocacy campaigns, use of online crowdfunding platforms, social contracting, grassroots organising, and public image. Developed by USAID, The Index reports on the CSO sectors in over 20 countries in the region. Belarusian Yearbook 2016 – The annual book presents a comprehensive analysis of the key developments and current status of the main sectors of the state and society in 2015. Three processes determined the political agenda – the presidential election, normalisation of Belarus’s relationship with the West, and the economic recession. The CSO trends are reflected in the “Society” section. Study: Gender Aspects of Hate Speech in the Belarusian Media – Mediakritika.by together with the EHU Centre for Gender Studies presents the results of a study on the use of hate speech in the Belarusian media. The experts analysed both the state and independent media from January to March 2016. The key finding is that the language of hostility is used in all reviewed media on different groups and individuals for various topics. U.S. Military Band Tests the Soft Edge of Hard Power in Belarus – The Wall Street Journal writes on the Air Force band’s jazz ensemble that spent six days in Belarus playing concerts around the country. The visits were the brainchild of Scott Rauland, the chargé d’affaires in the U.S. Embassy in Minsk. The band’s visits, he said, were “really effective diplomacy” and a chance to restart a diplomatic relationship largely frozen after the 2008 expulsion of American diplomats from Belarus.